I have a feeling I am going to buy this dress by the end of this week... I seem to have fallen in love with it and now, having visualised the styling options, I see this last summer buy as a perfect little addition to my wardrobe. And yes, I love the idea of pairing it with a low V-cut sweater. I think, my inner coquette would adore the idea of a bow peaking at the back. Very sweet, playful and sort of a tease. You aren't the only one who just may wind up buying this dress, Natalia! Seeing it pop up in my feed every morning has me falling more and more in love with it. 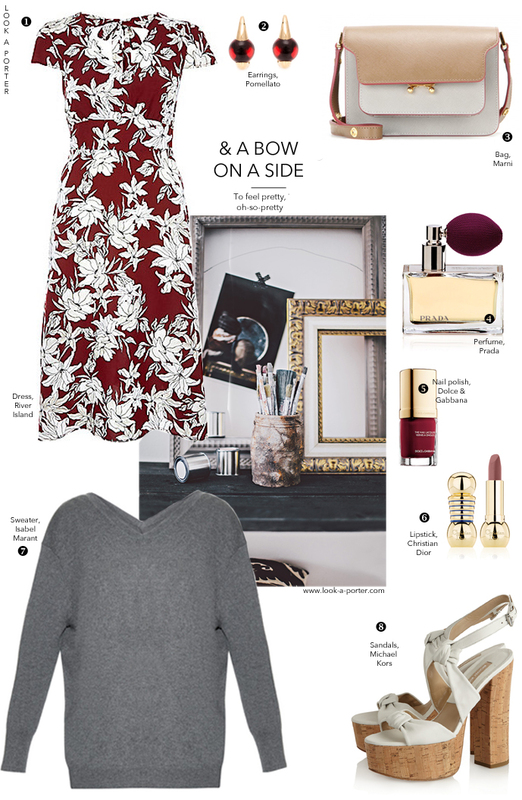 I like these combo: this dress and grey sweater by!! !